Every industry, from iron and steel to mining and food production, relies on a steady supply of water. And every industry produces wastewater that contains its own characteristic set of particles and contaminants. It is an inevitable by-product of the industries that support communities and their economies. Last century, industrial wastewater was simply released back into the environment. 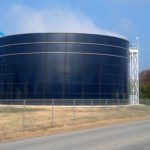 Today, tough regulations, sophisticated treatment systems, and advanced storage tank solutions ensure wastewater is properly processed and purified – keeping water sources, local wastewater treatment facilities, and local infrastructure safer. “Carbon footprint” is a widely recognized term today but industries also have a “water footprint.” Virtually every product requires water at some stage, whether during the extraction of raw materials, manufacturing, transport, or disposal. This vital resource can also be used as a solvent, coolant, and energy source. A steady, reliable supply is a must. 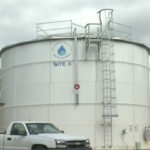 We specialize in industrial storage tank solutions, designed to offer cost-effective turnkey operation. 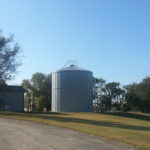 Safe, durable, and fully compliant design standards and local building codes, our tanks do more than store water: they enable industries to continue to operate at maximum capacity. HydroTec TS (flat panel epoxy). Wastewater is a byproduct of industrial processes, and it contains a variety of pollutants that impact the health and safety of the populace, as well as the environment. Proper treatment is necessary to mitigate risk to the water supply, wastewater treatment facilities, local infrastructure, and to ensure businesses remain in compliance with strict regulations. It all begins with safe storage. Industrial and commercial buildings must adhere to rigorous fire safety standards. To be considered “fire protected,” a building must have a flow rate of 200 gallons per minute for two hours. 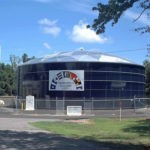 If this is not provided through the local authority, they need onsite water storage to supplement supply in the event of an emergency.